This 2nd floor 1 bedroom unit will be available on May 6 for the right tenants. 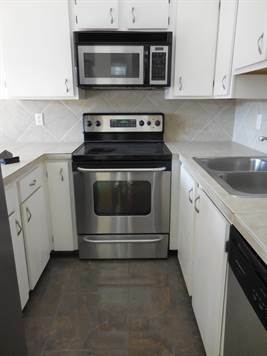 Completely tiled with stainless steel appliances, washer - dryer and A/C. Close to shopping and dining and across the street from the beach. Maui Lani has a nice pool/BBQ area and work out room. Rent does not include tax, electric, cable or Internet. Vacant and easy to show. Taking applications. Sorry, not pets at this property.